Brighten up your kitchen with our elegant glass jars to store your good-to-go pyramid bags in. 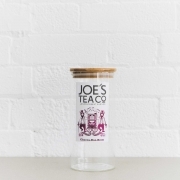 The cork lids will ensure your favourite Joe’s Tea Co. teas and herbal infusions are kept tasty and fresh. 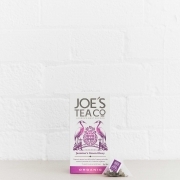 The perfect gift for a discerning tea lover too! Each jar comes labelled with the name of the blend and our iconic illustrations, choose from our 11 blends of teas and herbal infusions from the drop down. 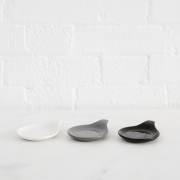 – Free delivery on UK orders over £28. – Same day dispatch for all orders received by 11am. 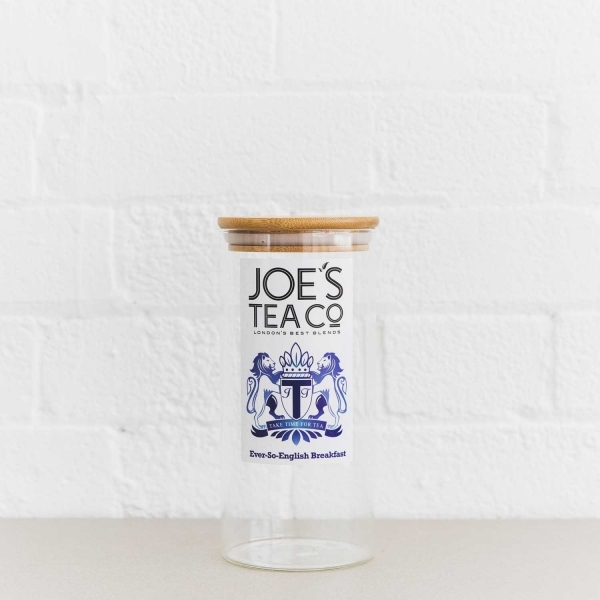 – Jar is sold empty and without pyramid bag contents, please purchase tea separately or as part of a gift set to fill the jar.